Astec Industries Inc. announced it has entered into an agreement and received a related down payment to build, deliver and install the first production line of a new turnkey wood pellet production facility. Viridis Energy Inc. recently released its financial results for its first half and second quarter ended June 30, reporting a revenue increase of 18 percent to $14.5 million during the six-month period compared to the same period in 2014. Vermonters can get up to $5,500 to help switch from fossil fuel to local wood heating. Cash incentives are available from the Clean Energy Development Fund and Efficiency Vermont. Next week, a full consultation report for the conversion of Northern Engineered Wood Products’ particleboard facility to a wood pellet plant in Smithers, British Columbia, is expected to be submitted to the Ministry of Environment. A new paper from FutureMetrics predicts the U.S. wood pellet sector may be poised for consolidation due to the impact of lower heating oil prices and price pressure from domestic competition. Saxlund International has received an order from Babcock & Wilcox Vølund A/S, Denmark, for the delivery of a state-of-the-art biomass handling system to a green energy project in Margam - Port Talbot, between Swansea and Cardiff in South Wales, U.K. 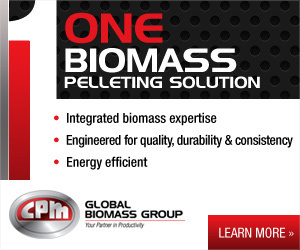 Solid Waste in Pigeon Forge, Tennessee, has engaged PHG Energy to build a new biomass gasification plant capable of cleanly converting more than 30 tons of composted material daily into thermal energy while producing a valuable high-carbon biochar. The U.K. Department of Energy and Climate Change has published updated renewable energy statistics, reporting the renewable share of electricity generation reached a record 22.3 percent during the first quarter of this year. The U.S. EPA is inviting public comments on the list of candidates being considered for appointment to its Science Advisory Board Agricultural Science Committee, which provides advice on matters related to farming and agriculture-related industries. On Aug. 19, the USDA Farm Service Agency announced that enrollment has begun for farmers and forest landowners seeking financial assistance for growing new sources of biomass for designated project areas under the Biomass Crop Assistance Program.